Lubuntu Linux on 32GB USB Drive | Linux DVD Shop - UK Linux Shop supplying Linux on CD, DVD and USB with Free UK Delivery, 24Hr Dispatch. 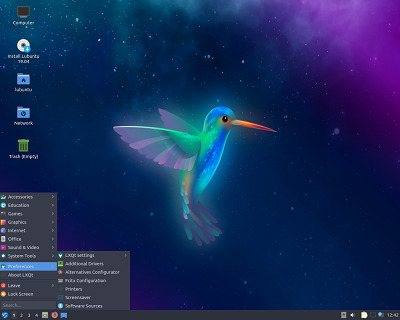 Lubuntu is a project that is intended to lead to an official derivative of the Ubuntu operating system that is lighter, less resource hungry and more energy-efficient, using the LXDE desktop environment. The LXDE desktop uses the Openbox window manager and is intended to be a low system requirement, low RAM environment for netbooks, mobile devices and older PCs. In February 2009, Mark Shuttleworth of Ubuntu invited the LXDE project to become a self-maintained project within the Ubuntu community, with the aim of leading to a dedicated new official Ubuntu derivative to be called Lubuntu. The project also established an official Ubuntu wiki project page, also under Behling's management, that includes listings of applications, packages, and components.